Over 25 years of exception friendliness and helpful service. Let us help you begin the path together! We received the rings the next day and they are beautiful! The gold knots over the white band was definitely the correct choice; very elegant. you were full of solid advice and it helped greatly. Thanks for all your help! For more than 25 years, owner Joe Keane and staff have been sharing their passion for Celtic culture and symbolism. Joe’s stories and enthusiasm shines and that is what makes shopping at Celtic Revival a unique experience. He has guided many couples along the path of selecting the wedding rings that express their love for each other, whether for plummer or for priest! We collaborate with our customers to offer solid advice to help make the right decision. Our goal is to have completly happy and satisified customers. Joe helps his customers understand the deeper message behind each symbol, that time is infinite and always be present! Making the ring a true treasure and a reminder that love is precious! We strive for exceptional service and a hassle free return policy. ~ Celtic Revival is dedicated to creating a real connection to our customers. Whether sharing our passion and knowledge or providing them with great gifts and service. ~ Our selection comes with 25 years of experience, craftmanship, education and quality. This has been the foundation of our business. ~ We have a personal relationship with our customers and know that you have individual needs, Once we understand your needs, we can provide. 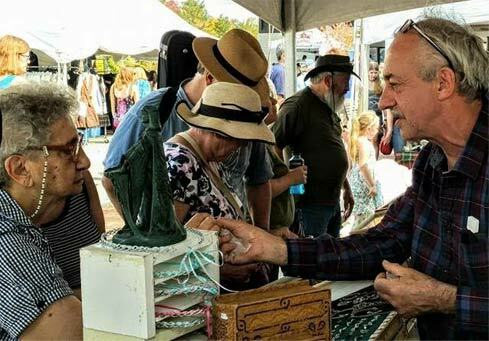 ~ We have worked with many artists who create unique pieces that you may not see elsewhere. Everyone is dedicate to the artistry of making beautiful creations and stands by the quality of their work . 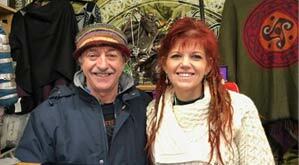 ~ Celtic Revival is here to serve you and if there is ever a question of exchanges or returns, there is no problem. We have been satisifing customers for over 25 years. We look forward to you becoming one too. I received the package yesterday and am thrilled with your service! Thank you for the quality product and for the speed with which She traveled from coast to coast! Best wishes to future success! Join Joe Keane and friends on a unique magical travel adventure to Mythical Ireland. This small group tour will take you on roads less traveled to visit Stone Circles, Holy Wells and ancient woodlands. Learn about Ogham, the four magical gifts of the Tutatha De Danann and the Sacred Tree culture. Discover the myths and history in song and stories as you embrace the customs that lay within Ireland’s rich and sacred landscape. Join us for an experience that is richer that gold! 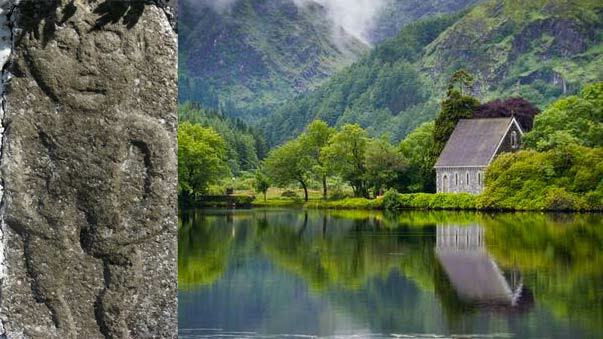 My interests in Celtic symbols and the meaning behind them began as a boy growing up in Co. Kerry with visits to Stone Circles and ancient Dolmens. I was fascinated by what I saw at these ancient sites. This fascination has developed into a lifelong love of learning about Irish heritage and Celtic Spiritual traditions. I learned the significance of knots and how each symbol conveys a message. Emigrating to the USA in 1984 and established Celtic Revival in 1992. Our first store was in Harvard Square, Cambridge, and after some years, Celtic Revival took to the road sharing our story, partaking the finest Irish and Scottish festivals in North America. Here we were able to reach a wider audience offering exhibits including "The Passage Of Time", "Ancient Circles" and our latest exhibit, "The Wishing Tree". 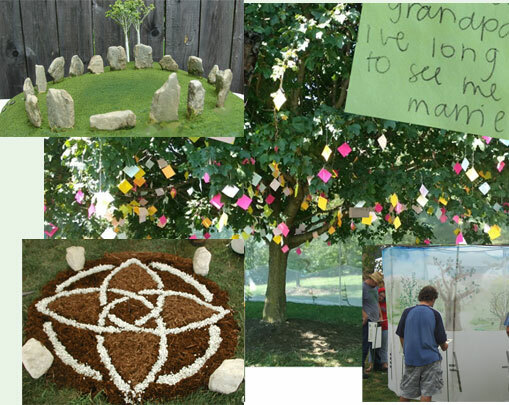 Over 15,000 people have tied their wishes to the Wishing Tree. It has been a fulfilling adventure working with and meeting so many delightful customers and friends that we have made over the years. A great joy has been to have families stop by to introduce their kids to us. 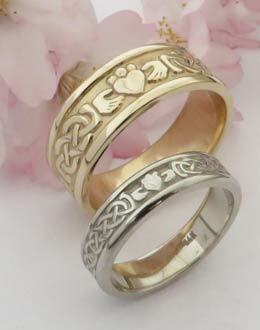 and to share their story about when they had Celtic Revival make their wedding rings. That tells us we are doing things right! The Tree has over 15,000 folks wishes. HAVE YOUR FINGER SIZED AT A JEWELER! This is an important purchase don’t leave sizing up to chance. Custom-made rings are not covered by our standard 21-day return policy unless the goods are faulty. From our experience, a wider ring suits a longer finger and a narrower for a shorter finger. If you are looking at a wider ring, make sure you give it a little slack to go over the knuckle, as a wider ring usually would go up a 1/4 to a 1/2 size.. Have yourself sized with a 6 mm sizer. We recomend to measure twice, You want the ring snug on the finger and keep an eye on it when you go swimming in the summer time. As width goes, our guide to have a better sense of millimeters is as follows. Stack pennies together 3 pennies = 4.2mm 4 pennies = 5.8mm 5 pennies = 7.2mm 6 pennies = 8.8mm Rings are available in Pollished, Matte or Antiqued finishes. 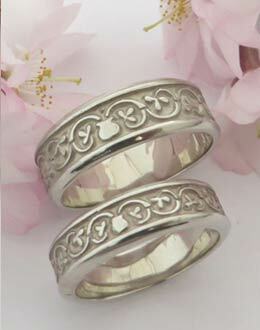 Free Fedex shipping on wedding ring Please use a street address, No PO boxes on your address information. Delivery requires a signature. International shipping is subject to additional charges depending on country and shipping method. Email us for specific information on international order. We work very hard to ensure that are customers are happy with their ring purchase. However, occasionally we understand that a ring may need to be returned for whatever reason Rings may be returned within 21 days in original condition and packaging. 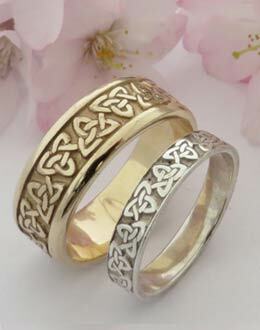 Rings must be insured for the full purchased price and shipped with tracking numbers. we cannot be responsible for items lost or damaged during return shipping. 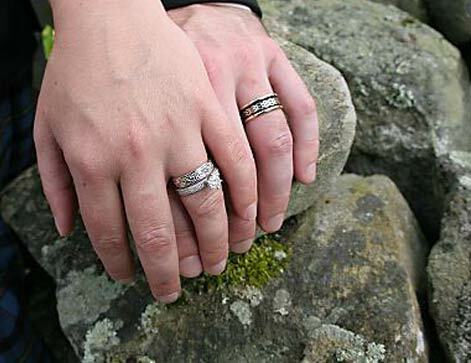 A restocking fee of 20% will be assessed on all returned wedding and engagement rings. Shopping safe and Protecting your privacy is one of our highest priorities! All orders are processed using our Secure Server, We do not share or sell your personal information with anyone. 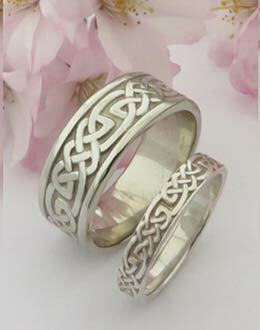 For many, this Celtic symbol represents eternity..the eternity of time, the eternity of nature, and the eternity of love. Providing an illusion of depth to the pages on which they are inscribed, these knot work designs can be seen on Irish manuscripts and Celtic stone carvings through out the British Isles. People from many lands herald Celtic knot work as the emblem of their heritage because the people known as "Celts" lived in many areas of modern-day Europe, spanning far beyond the shores of the Emerald Isle. What most of us call "Celtic" knot work is actually derived from the exquisite designs created by Irish Christian monks who had come to the Emerald Isle in the Dark Ages to bring Christianity to the pagan Celts. 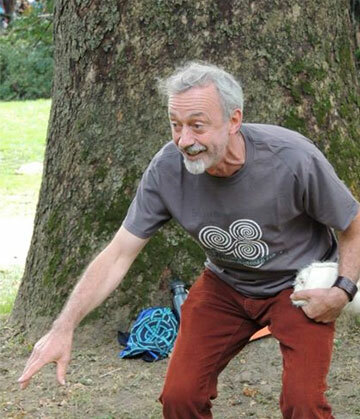 The monks who came to Ireland were influenced by the knot work styles found originally in ancient Syrian and Coptic manuscripts of the Middle East..They took the designs they derived from those lands and created a uniquely Irish art form.The flow and design of the knots tied into the psyche of the Irish as it related to their pre -Christian spiritual traditions. Celtic ideology was tied to observing time as being an infinite journey. The basis of the older Irish Spirituality was focused around the sacred tree that grew from the center of the land and time moved around it.Being centered is being present. Wise philosophy then and still rings true today. Contrary to popular belief, these designs didn't appear until the mid-7th century when Irish monks began compiling their illuminated manuscripts of the Christian gospels. So although there are many other prehistoric Celtic symbols, Celtic knot work is the distinctively Irish contribution to those ancient Celtic designs. 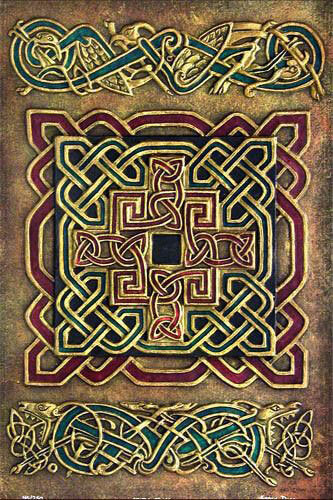 The Irish monks began creating the beautifully adorned illuminated manuscripts such as the Book of Armagh, the Book of Durrow, and the Book of Kells, By the 8th century, interlacing Celtic knot work had become the defining characteristic of Irish art. Over the years we have created many exhibits at some of the finest Celtic Festivals in North America. From exhibits like “The Passage of Time” a collabration with Irish artist Padraig Conway,.“Ancient Circles”, miniture landscapes of Ireland’s ancient sites. “The Wishing Tree” A favorite at the Dublin Oh. Irish Festival The Wishing Tree , based on the clootie tree tradition, Each year.more than15,000 hopeful festivas goers tie their wishes to the tree. 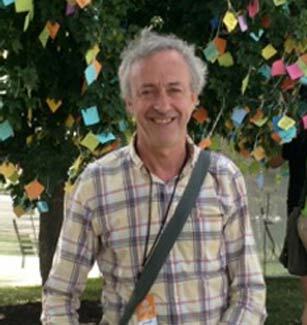 Sharing and educating in the community has been an important part of the journey with Celtic Revival. This was a deepley spiritual experience for me, I was moved to tears. Thank you so much. My dad and I loved this exhibit and we though it was fantastic. Well thought out and clear representation. Contact Joe Keane for more information on hosting an exhibit. How could we ever be a Celtic Business without having stories to tell. Joe seems to do that quite well now and again. Here he is at the Celtic Classic in Bethlehem Pa. His passion shows as he shares some great tales and wisdom. If you would like to hear a tale or two.